Marino spoke about Carolina Panthers quarterback, Cam Newton, and the need to surround Newton with more playmakers, particularly at wide receiver, however, when Marino was asked which quarterback he would choose to start a franchise with, the former Miami Dolphin quarterback mentioned Robert Griffin III, Andrew Luck, and Aaron Rodgers, not Newton. Dan Marino played his entire career for the Miami Dolphins and is considered one of the most prolific passing quarterbacks in NFL history. He is nine-time Pro Bowler (1983-87, 1991-92, 1994-95) who played in 18 post-season playoff games and led the Miami Dolphins to the Super Bowl in 1985 against the San Francisco 49ers. Although he never won a Super Bowl, Marino won the Dolphins MVP Award 12 times and the team has since named the award after him. Marino was inducted into the Pro Football Hall of Fame on August 7, 2005. With all his achievements, Dan may best be remembered for his philanthropic work on behalf of children with developmental disabilities. Dan and his wife Claire established the Dan Marino Foundation which funds over $1 million dollars annually to support medical treatments, program services and research for children with chronic illnesses. PFP Sports and Celebrity Talent Agency is a booking agent for motivational sports speakers and celebrities. 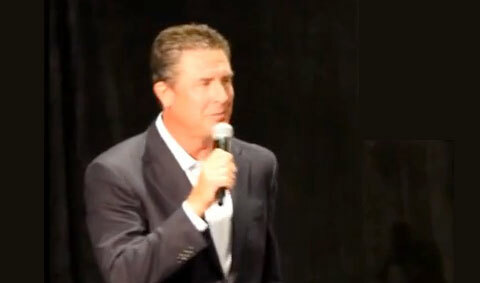 If you would like to book football speakers or NFL stars like Dan Marino for a speaking engagement, autograph signing, guest appearance, product endorsement, Super Bowl party, celebrity golf tournament, charity fundraiser or special corporate event, you can contact Dan Marino’s agent for appearance and speaker fees or call 1.800.966.1380.